When life gives you lemons, wear a yellow coloured outfit! 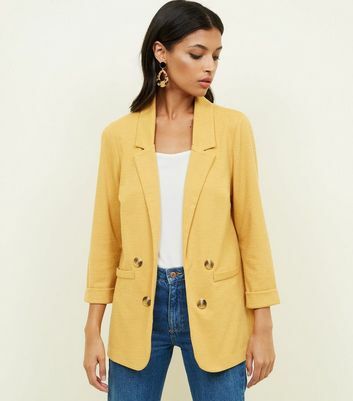 It’s hot, the sun is shining…..which means it’s the perfect opportunity to bring some yellow in to your wardrobe. I personally love the colour yellow as I find it portrays happiness and joy. Many people find yellow a hard colour to style and are put off by how bold and ‘statement’ it looks. Don’t be afraid, it doesn’t have to! I have put together a few outfits which include pieces that are yellow but not so much that you are a magnet for bugs! I suggest you wear this yellow coloured top slightly tucked in to the shorts, just so they aren’t totally covered by the top. A very casual look, perfect for a day filled of sight-seeing. The overall cost of this outfit is £49.47, but if you don’t want to buy everything from the outfit I have created and just want to match specific pieces to others you already own, that’s fine too! I really love this look and how the blazer brings so much sophistication and makes it more smart, whilst the Vans give off more casual vibes. The overall price of this outfit is £160.98. Ouch! But you could always trade in some cheaper ‘sneaks’. I think this outfit would be perfect for a night out or a business day, it just so sharp and on point. The overall price of this outfit is £100.98. I thought I would add on a bag which would work with every outfit! So there you have it I really hope I have either persuaded or inspired you to wear yellow as its not so much of a daring colour as it may seem!